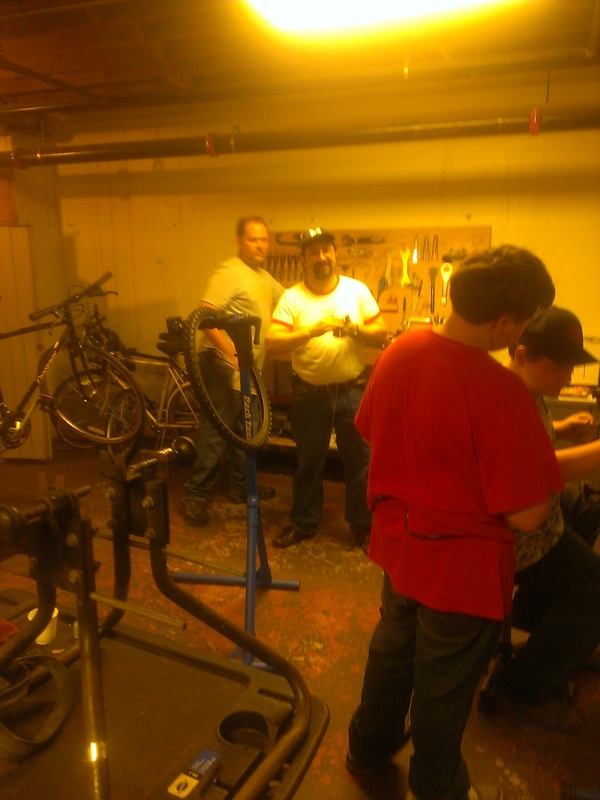 New volunteers Paul and Adam work in the background while Drake and Andrew work on their bikes. Adam worked as a professional bike mechanic and bike shop manager earlier in life, now working for Delta Airlines. Paul has enjoyed cycling since childhood, riding BMX and now enjoying his mountain bike. Drake, Andrew and friends have been riding some of Sanford and Springvale’s trails this fall, having fun on the network of trails that have been built in the area.